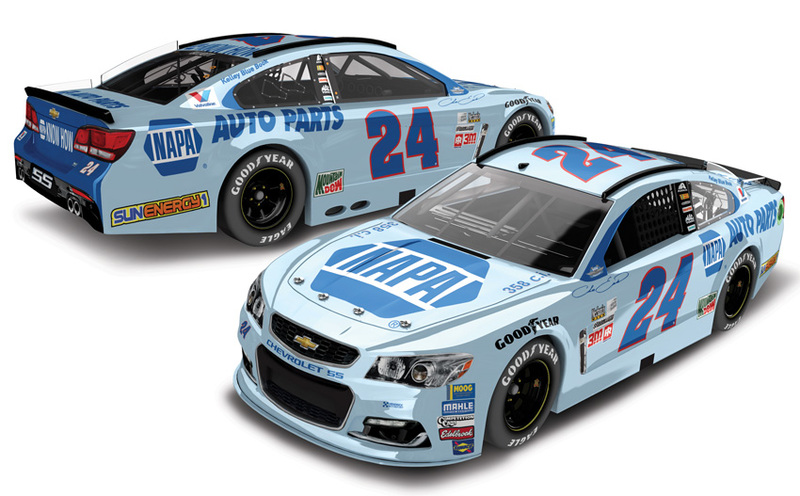 2017 Chase Elliott #24 NAPA / Darlington / Chevrolet SS NASCAR diecast, by Action. The Hendrick Motorsports #24 NAPA Darlington Chevrolet SS was raced by Chase Elliott in the Monster Energy NASCAR Cup, Bojangles' Southern 500 at Darlington Raceway on September 3, 2017. This paint scheme will pay tribute to the 1st paint scheme his NASCAR Hall of Fame father Bill Elliott drove.